The news that has been published recently concerning the discovery of the tomb of Cleopatra is completely false. The tomb of this magical queen has not been found. The story began when I gave a lecture to students and the public at the University of Palermo in Italy. My words were translated by Stefania Sofra, an Italian Egyptologist. I said we had long been excavating at the Temple of Taposiris Magna about 45km west of Alexandria, and added that the theory that Cleopatra could be buried there was not my theory, but the theory of Kathleen Martinez of the Dominican Republic who had been working at the site with myself and an Egyptian team. I never believed in the theory that Cleopatra could be buried there, because the ancient Egyptians never buried anyone inside a temple. 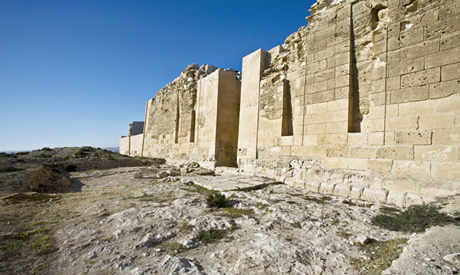 Temples were built for worship, and this temple was used for the worship of the goddess Isis. It was therefore unlikely that Cleopatra would be buried there. After I left the Ministry of Antiquities in 2011, Martinez continued to excavate in the temple area, both in the interior and the exterior, and she found a great number of objects, including the foundation deposits, that showed that the temple was first built by Ptolemy IV. More recently, the team found an inscribed stone that was a gift from Ptolemy V, the king who made the Rosetta Stone. According to the inscription on this stone, Ptolemy V gave gifts to the priestesses of Isis. Statues and coins were also found inside the temple depicting Cleopatra, and Greek and Roman artifacts and a large cemetery was found outside. Most of the mummies found in the cemetery were covered with gold. On 13 January, I was coming back from Rome and read a newspaper called Il Messaggero that was running a story to the effect that the tomb of Cleopatra had been found inside the Temple of Taposiris Magna. The story showed photographs of me at the tombs I found at the Giza Pyramids. But the main photograph showed the actress Elizabeth Taylor playing Cleopatra surrounded by Rex Harrison as Caesar and Richard Burton as Mark Antony. I called Stefania Sofra asking her to send a letter from both of us saying that the newspaper story completely false. It had been completely made up. Even so, I had to answer questions from reporters from all over the world asking me about the discovery. I explained that the tomb had not been found inside the temple, and temples were never used for burial. Meanwhile, Hollywood wants to produce a new film on the life of Cleopatra. Many people are saying that Cleopatra was black, and for this reason they want the actress playing Cleopatra to be black too. The name of the US singer Beyoncé has been recommended. When I was called by various TV stations, I told them that Cleopatra cannot have been black because her father and mother were Greek even if she was born in Egypt and had become Egyptianised. I said that she was very clever and that she never loved Caesar or Mark Antony, but used them for their power. When Mark Antony was defeated at the Battle of Actium, Cleopatra began to look towards Octavius instead and sent a message to Mark Antony saying that she was dead and leading to Mark Antony’s killing himself. But Octavius did not care for Cleopatra and wanted to take her to Rome to show the Romans the woman that had deceived the world. I said that the US singer Lady Gaga would be inappropriate for the role of Cleopatra. I recommended the actress Angelina Jolie instead. 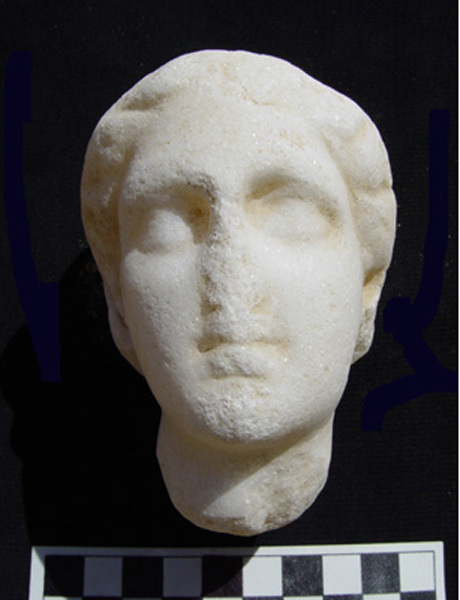 REMEMBERING CLEOPATRA: When I was 17, I studied Greek and Roman archaeology at the University of Alexandria. One day I asked one of the professors there, Fawzi Al-Fakharani, why archaeologists had searched for the tomb of Alexander the Great but none of them had searched for the tomb of Cleopatra. He said that I should go to the area near Al-Selsela in Alexandria and look into the water. There I would see the palace of the queen, he said, and her tomb. I went to the area and looked at the water that contains the tomb and palace and began to think that I was in love with a woman that I had never seen and had never even imagined what she looked like. I began to read about her, and what I read showed that Cleopatra had loved power, fame and wealth. She would have left the love of her life if it had benefited her. I began to think that I should not dream anymore about this mysterious woman. Look at what has been written about this queen. 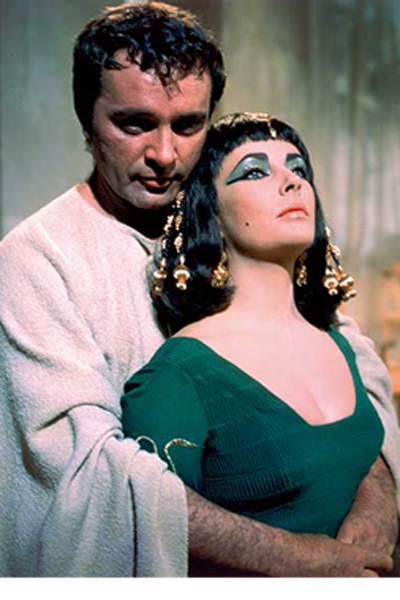 The ancient historian Plutarch said that Cleopatra and Mark Antony were buried together in Alexandria. For years, many archaeologists believed this theory. But the historical evidence suggests that Cleopatra built a tomb for herself near her palace, and so most scholars have concluded that Cleopatra’s tomb has sunk beneath the Mediterranean Sea. The theory that Cleopatra is buried in the Temple of Taposiris Magna is something promoted by Martinez. As an Egyptologist, I can say that I have never heard of any king or queen being buried inside a temple, and what has been found recently in the excavations are only objects related to the temple equipment. Nothing has been discovered so far that relates to a tomb. Many people have written bad things about this queen, claiming that she was fat, had a large hooked nose, bad teeth, sharp eyes and a fat neck. This has been reported in the press. But this woman who captured the hearts of the most powerful men of her time cannot have been ugly. Instead, those who came after her, in particular Augustus Caesar and the Roman officials who took over Egypt after her death, did all they could to destroy images of the queen, as if to obliterate her power and reputation. Yet, still the remarkable story of this Ptolemaic queen, Egypt’s last Pharaoh, has come down through the centuries. As the 17th-century French philosopher Blaise Pascal wrote, “Cleopatra’s nose, if it had been shorter, the whole face of the earth would have been different.” Whether beautiful or not by today’s standards, this queen captured the hearts of many great Romans, and her story has fascinated countless historians, writers and artists. The earliest version of Cleopatra’s life was written by Plutarch in around 100 CE in his Lives of the Noble Grecians and Romans, which contains the most accurate and complete accounts. And so her myth begins. In his life of Mark Antony, Plutarch calls the Roman leader’s love affair with Cleopatra “the last and crowning mischief that could befall him” and emphasises her seductive charms. According to Plutarch, knowing that she was to meet Mark Antony, the Egyptian queen came sailing up the river Cydnus in a barge with a gilded stern and outspread sails of purple, while oars of silver beat time to the music of flutes and harps. She lay alone under a canopy of cloth of gold, dressed as Venus in a painting, and beautiful boys, like Cupids, stood on each side to fan her. Her maids were dressed like sea nymphs and graces, some steering at the rudder, some working at the ropes. There followed an extravagant courtship, together with a characterisation of Cleopatra not as beautiful but as intelligent and bewitching, so much so that Antony neglected his civic duties at home. “While Fulvia his wife maintained his quarrels in Rome against Octavius Caesar by actual force of arms,” Antony allowed himself “to be carried away by her to Alexandria, there to keep holiday, like a boy, in play and diversion”, Plutarch writes, quoting a friend of his own grandfather as to the sumptuousness of the feasts they shared. CLEOPATRA’S SUICIDE: It is from Plutarch, too, that we hear the earliest version of the intertwined deaths of Mark Antony and Cleopatra. Making one hard decision after another, and falling under the shadow of numerous omens reflecting the gods’ will, Mark Antony decides to die a soldier’s death. He witnesses his own men surrendering to Octavius, his Roman rival, and blames Cleopatra. “She, being afraid lest in his fury and despair he might do her a mischief, fled to her monument,” writes Plutarch, and she sent messengers to tell Antony that she was dead. Believing himself defeated in war and love, Antony then wounded himself with his sword but lived long enough to be brought before Cleopatra. This is what made me believe that this queen loved herself alone and that she would sacrifice her love for Mark Antony for power. She sent a message to get rid of her defeated lover, so that she could be free for another, Octavius. “Nothing could part us whilst we lived, but death seems to threaten to divide us,” Plutarch reports that Cleopatra said upon Antony’s death. She had already spent days testing various poisons and watching prisoners die, “in order to see which of them were the least painful in the operation”. We began to work with Martinez in 2005 at the Temple of Taposiris Magna, where the Supreme Council of Antiquities team (SCA), working under my direction, found many structures and artefacts on four levels of the site as well as shafts inside the Temple. The work done since 2011 has been by Martinez only, and the documentation of the objects and the temple architecture has followed her research. We have to thank her for dedicating herself to this work, whether we agree about Cleopatra’s burial or not, and we have to see what is happening at the site now. 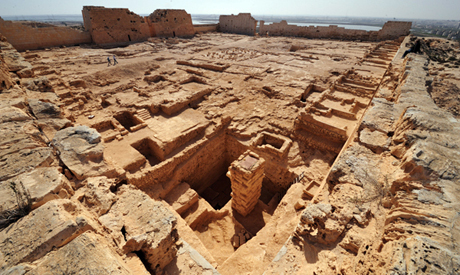 Researchers have discovered several shafts inside and outside the temple. Some go 25 metres down into the rock. A large cemetery was also excavated outside the temple, and the most important object found there has been the large stone inscribed by Ptolemy V giving gifts to the priestesses of Isis. There is no evidence to prove that Cleopatra was buried in the temple. But in my opinion there is nevertheless amazing work underway, particularly by the mission that has been working near Cleopatra’s royal quarters, now underwater, that has raised a nine-ton pylon that is almost definitely part of a Temple of Isis. The team has also found another exciting structure in the threshold of a monumental door that, with its granite and copper and lead facing, may have been a part of the door to Cleopatra’s tomb. Whether or not Cleopatra was actually buried in the tomb she built for herself in Alexandria, or whether she was buried in Taposiris Magna, she will remain one of history’s most mysterious, powerful and alluring women. It is hard to believe that a reporter in a respected newspaper like Il Messaggero would write such wrong information, because I did not say that Cleopatra’s tomb had been found. I have the right to talk about the work at the temple because I was the director of the excavations from 2005 until 2011, and during this time the Egyptian team did great work. But the idea that Cleopatra was buried in this temple is not my idea. It is the theory of Martinez.